I have a soft spot for this Champagne because back in summer 2003 when I visited with Pascal Leclerc, he had me saber my first champagne. When he passed away his family sold off the vines and luckily very reliable and respectful people. This particular wine comes from various villages in Cramant. It’s all grand cru fruit, zero SO2 and no dosage. 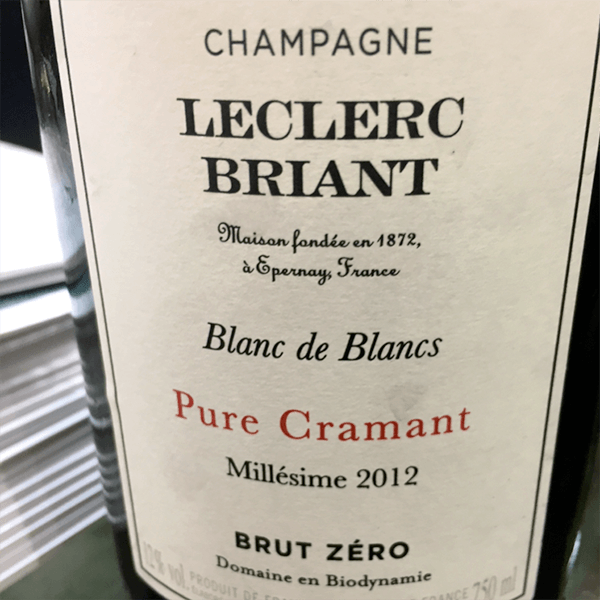 This is a stunning champagne, aged and refined in oak. With extreme acid and tension, mouthwatering beauty. It’s lemony, appley tart, with a touch of spice and exotica. Imported by Craft & Estate. Young Milan Nestarec of Moravia is an It Boy around the natural wine globe. He’s essential to the crazy Slo/Czech crowd. Sometimes I worry that he’s lost focus, with too many new wines. But just when I think I have him pegged, he jumps around and stuns me. 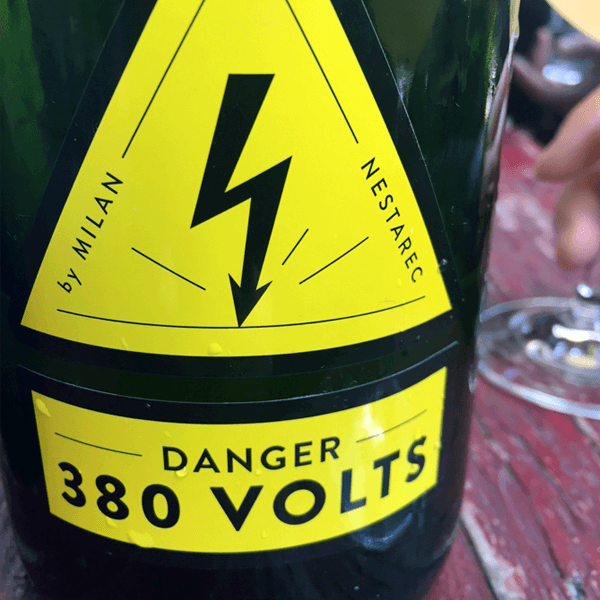 Like with this Danger pet’nat. Wow. The grapes are vinified separately then blended. Unfiltered, unrefined, no sulfur addition and not at all disgorged. Drink this cloudy wine on a cloudy day and the sun will shine. Drink on a sunny day and there will be zero humidity. At night? During a thunderstorm? I just can’t imagine what the effect will be. But strap in for a wild ride. The key note here is jiggy energy and vibrant citrus. Imported by Jenny & François Selection.